Bill Harrie is a trial lawyer with over 30 years of civil litigation experience. In the area of civil litigation, his practice has consisted primarily of insurance defense work and trial work, both in first-party insurance disputes and in defense of liability claims, including personal injury, property damage, products liability, tort and insurance litigation, commercial and business litigation, and intellectual property. Bill has also served as an arbitrator in insurance disputes, personal injury claims, commercial litigation and employment related claims, and is a Certified Neutral Mediator. 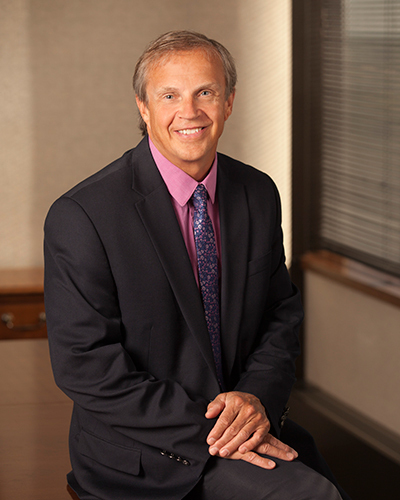 Bill has represented a number of adoptive parents, clients involved in gestational carrier arrangements, and child-placing agencies, and is the only North Dakota attorney who is a member of the American Academy of Adoption Attorneys (AAAA), which is a prestigious national association of attorneys experienced in the field of adoption law and assisted reproduction technology (“AARTS”). He is a former president of the Nilles Law Firm, and is the head of the litigation department of the Nilles Law Firm. He was born and raised in Grand Forks, ND. 2014-2017 Best Lawyers in America in the area of insurance law and litigation. Bill is a frequent speaker at seminars in North Dakota and Minnesota, including the Minnesota Insurance Law Deskbook Seminar in Minneapolis where he has spoken at since approximately 2003.